"We believe that being involved in our community is one of the best ways to build community. Over the years, we’ve been involved in a variety of projects, events and other local grass roots causes intent on keeping the local flavor of Ann Arbor strong." To this end, we are always looking for opportunities to get involved in local initiatives, partnerships, fundraisings and sponsorships. 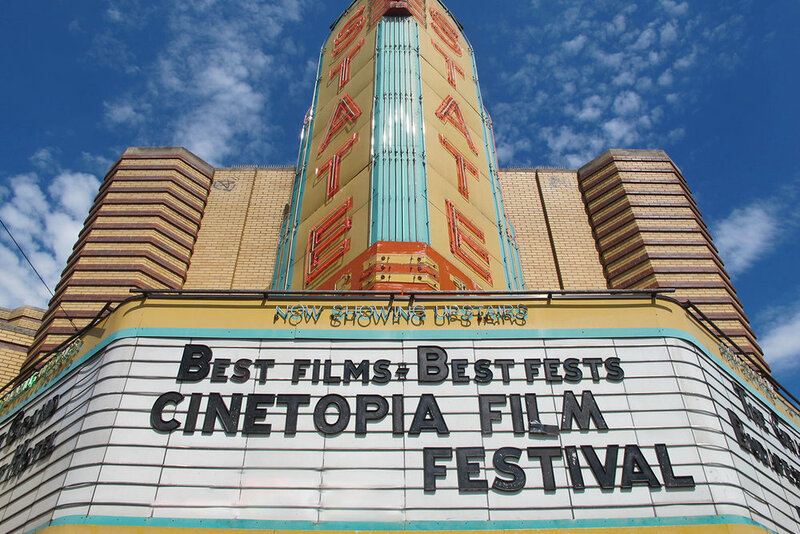 This year we have combined all these into one with our collaboration with Cinetopia Film Festival, the goal of which is to bring the best films from the world's best film festivals to the good people of Southeast Michigan. 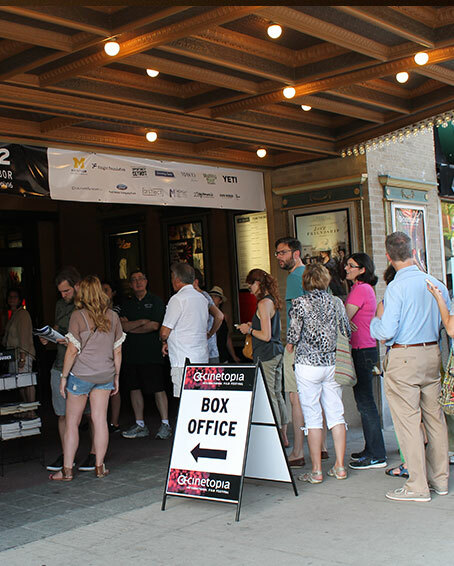 Since 2012, Cinetopia has brought films from festivals such as Cannes, Sundance, Tribeca, Berlin and SXSW to Ann Arbor and Detroit, along with special guest appearances from the actors, directors, producers and writers behind some of these films. Aside from all that movie-based goodness, there are also events, parties and educational programming to ensure you get the most out of each year's festival. From May 31st through June 10th, the Michigan and State Theatres, as well as venues all across Detroit (the Henry Ford's IMAX screen is always one to seek out), will be hosting a variety of films, from documentaries to comedies, foreign language action films to local indie favorites. We've always been big fans of Cinetopia here at Mighty Good Coffee, so when the opportunity to get involved more deeply presented itself, we couldn't say no. To that end, we'll be sponsoring two films directly, as well as offering a coupon to all pass-holders to get money off a Mighty Good drink or Jefferson Market meal during the festival. The first film we will be sponsoring is Nico, 1988. Written and directed by Susanna Nicchiarelli and starring Trine Dyrholm, the film tells the story of the former Velvet Underground singer's life after her fame has peaked. From the Cinetopia website: "Struggling with her demons and the consequences of a muddled life, she longs to rebuild a relationship with her son, whose custody she lost long ago. A brave and uncompromising musician, Nico’s story is the story of a rebirth: of an artist, of a mother, of the woman behind the icon." Nico, 1988 plays Friday June 1st, Saturday June 2nd and Thursday June 7th at the State Theatre. Buy tickets here. Our very own Nic Sims will be introducing the film on Friday, June 1st - showtime 6.15. Buy tickets for that show here. The second film we will be presenting is Never Goin' Back, the debut feature from writer-director Augustine Frizzell. The plot concerns two teenage high school dropouts who make ends meet working dead-end jobs at the same diner. The Cinetopia website takes up the story: "Their dream vacation to sunny Galveston, Texas, is only a few shifts away. But after a drug deal goes bad and their home is invaded—and they have to serve a short stint in juvenile detention—their beach trip is in serious jeopardy. They’ll have to use every bit of guile their perpetually buzzed teenage brains can muster as they try to get (relatively) rich quick while wandering suburban Dallas." Never Goin' Back plays Friday, June 1st at the State and Friday, June 8th at College for Creative Studies in Detroit. Buy tickets here. We're also offering a deal to passholders throughout the festival, to help you recharge and recaffeinate between movies. Passes of any kind (be it VIP All Access, movie-only, or student) will get a coupon for $1 off specialty lattes, $.50 off drip coffee, and $1 off meals at the Jefferson Market. Passes can be purchased here. We're all really excited for next week's big festival kickoff, and hope to see you during the festival, either at the films or at one of our cafes.